My first garden was a mixture of a garden plot and container plants. I didn’t have enough room to plant everything that I wanted to grow so I grew my tomatoes in pots alongside my garden. One day I came home from Papa John’s (the nursery, not the pizza place) with some basil plants that I just had to have. But I had no room for them. I checked my tomato plants to see if they needed watering and my daughter noticed these tiny little bugs on the undersides of the leaves. I immediately got online and did some research. Yep. Aphids. I went out and squished all that I could see but there were a lot. I was frustrated and thought my plants were goners. I didn’t want to use any pesticides and I didn’t have the heart to throw my babies away. I thought “well, I’ll just keep them around and see what happens”. I knew that I liked basil and tomato sandwiches, and was sad at the thought of no garden fresh tomatoes. Then it hit me! Since there was no more room in the garden for my new basil plants, I just put them right into the pots with the tomatoes. I thought since they went well together on a plate, maybe the basil and tomatoes could be friends. I was right! Within two days there was not an aphid to be found on any of my plants. My tomatoes were saved! Yay, basil! The picture above is the first of many maters that I harvested that year. So I saved space and took care of that pesky bug that was bothering my maters. Seasoned gardeners, I later found out, already knew this trick. So I’m sharing it for those that don’t know. The next time you are growing your maters, throw some basil in the mix. 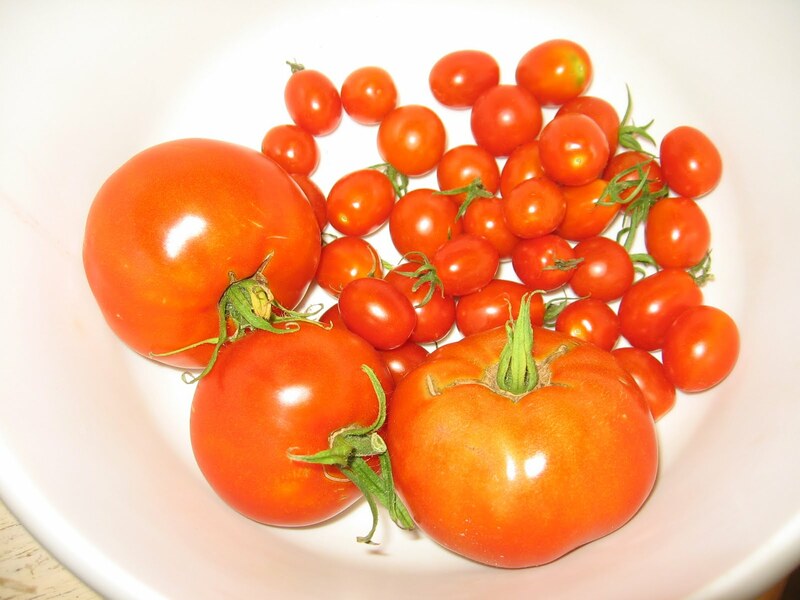 You’ll save space, grow more, and your maters (and your taste buds) will thank you later! ← Seed orders finally done! ha ha – I just left a comment about this on your other post.